What is higher education’s role in addressing sustainability in society? Society increasingly expects higher education to play a leading role in addressing the sustainability crisis. This trend seems to have started since Agenda 21, which directed universities worldwide into the driving seat of society’s quest for sustainability. What’s more, there seems to be a moral responsibility angle, based on the argument that higher education has to some extent contributed to society’s sustainability crisis in the first place. For example, on one hand universities are organised around disciplines, resulting in what is termed as ‘knowledge silos,’ without much conversation between disciplines. On the other hand, sustainability issues are complex and require a holistic approach to knowledge generation and dissemination. This indicates a mismatch between society’s needs and higher education’s provision in teaching and research. Such issues have led to analyses like that of UNESCO (2012), ‘Our current knowledge base does not contain the solutions to contemporary global environmental, societal and economic problems.’ The sustainability crisis is therefore usually interpreted as ‘a knowledge crisis’ (Parker 2010). In modern society university is the pinnacle of knowledge generation and dissemination. Because of their crucial role in educating and training future leaders and decision-makers, they can have great influence on their knowledge, skills and values. Besides the relative freedom that higher education enjoys gives it room for innovation for sustainability. So, not only higher education should play a leading role in sustainability, it has great potential to do so. There is, however, no firm agreement on what higher education’s sustainability leadership role should be. In general, it could be viewed as comprising ‘developing future citizens, guiding policy development, exchanging knowledge, supporting communities, and using academic freedom to fuel further enterprise and innovation’ (Ryan et al 2010: 116) with a view of building a sustainable world. 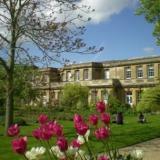 What has been higher education’s response to this sustainability challenge, especially in the UK? The next post will look at that. Chalkley, B. and Sterling, S. (2011) Hard times in higher education: the closure of subject centres and the implications for education for sustainable development (ESD). Sustainability, 3, pp. 666-677. Djordjevic, A. and Cotton, D.R.E. (2011) Communicating the sustainability message in higher education institutions. International Journal of Sustainability in Higher Education, 12(4), pp. 381-394. Minguet, P.A., Martinez-Agut, M.P., Palacios, B., Pinero, A. and Ull, M.A. (2011) Introducing sustainability into university curricula: an indicator and baselines survey of the views of university teachers at the University of Valencia. Environmental Education Research, 17(2), pp. 145-166. Parker, J. (2010) Competencies for interdisciplinarity in higher education. International Journal of Sustainability in Higher Education, 11(4), pp.325-338. Ryan, A., Tilbury, D., Corcoran, P.B., Abe, O. and Nomura, K. (2010) Sustainability in higher education in the Asia-Pacific: developments, challenges, and prospects. International Journal of Sustainability in Higher Education, 11(2), pp.106-199. Scott, W. and Gough, S. (2007) Universities and sustainable development: the necessity for barriers to change. Perspectives: Policy and Practice in Higher Education, 11 (4), pp. 107-115. Stephens, J. C. and Graham, A.C. (2010) Toward an empirical research agenda for sustainability in higher education: exploring the transition management framework. Journal of Cleaner Production, 18(7), pp. 611-618. Waas, T., Verbruggen, A. and Wright, T. (2010) University research for sustainable development: definition and characteristics explored. Journal of Cleaner Production, 18, pp. 629-636. Wright, T.S.A. and Wilton, H. (2012) Facilities management directors’ conceptualizations of sustainability in higher education. Journal of Cleaner Production, 31, pp. 118-125. I am an innovator seeking a SUSTAINABILITY-related opportunity in higher education, media, business or charity sector. I am EDUCATED in Education for Sustainability, Sustainable Buildings and Civil Engineering, SKILLED in research, writing and the arts (poetry, painting and photography), and EXPERIENCED in sustainability research and communication in corporate, social enterprise/charity and academic contexts, in the press and online. 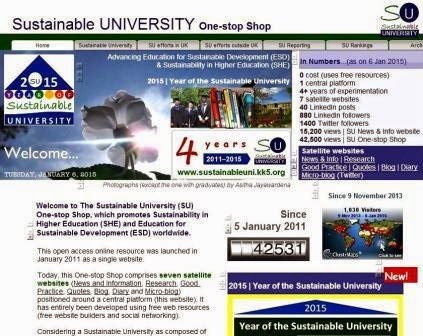 In January 2011 I founded The Sustainable University One-stop Shop, http://www.sustainableuni.kk5.org/, which promotes Sustainability in Higher Education and Education for Sustainable Development (ESD) worldwide.